Tag Archive | "new york stock exchange"
Sprint Nextel Corp. opposes the proposed $39 billion deal between AT&T Inc. and T-Mobile USA Inc., the wireless provider announced in a statement on Monday. The third largest wireless provider in United States urges the government to block the agreement. Voya McCann, Sprint’s senior vice president for government affairs, says the deal will cause harm in the industry and will be dominated by two service carriers, which are Verizon Wireless and a much larger AT&T T-Mobile. AT&T Inc. planned to takeover T-Mobile USA by purchasing it for $39 billion from its parent company Deutsche Telekom AG. The agreement between the companies was announced March 20. However, it will take effect once it has been approved by the regulators. 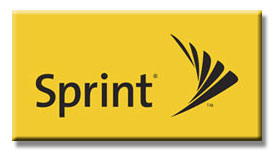 Sprint’s chief executive officer Dan Heese said in an interview last week that they will file objections at the U.S. Congress once they start to review the agreement. The government is expected to review the deal comprehensively. Also, key lawmakers promised to execute hearings. Some of the lawmakers, as well as some consumer advocates believe that the deal could increase prices for wireless subscribers and lessen the competition in the industry. Sprint said it can compete with the truly dynamic marketplace. AT&T’s plans to purchase T-Mobile can reverse the years of action by the court and federal government to make the telecommunications market in the United States more competitive. AT&T increased 75 cents to $29.60 on Monday in New York Stock Exchange while Sprint increased 5 cents to $4.73 in the composite trading. 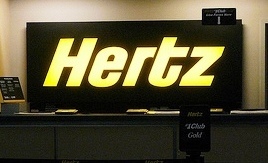 The car rental company, Hertz Global Holdings, is planning to acquire assets that the Avis Budget may have to give away to take hold of the antitrust clearance and acquire the Dollar Thrifty Automotive Group, Inc. The Hertz once tried to get the takeover bid for the Dollar Thrifty car rental company. However they were rejected by the shareholders of the company. One week after Hertz dropped their pursuit, the Avis and Dollar Thrifty are now making its way to getting the approval of the regulatory group to stop its business rival. Hertz mentioned in their conference call with the Deutsche Bank Leverage Finance that Avis may have to divest the Thrifty brand. According to the Park Ridge Company, the New Jersey-based Hertz, it is doubtful that Avis’ offer will be approved by the antitrust regulators. This is the reason why they have to divest assets to Hertz. Avis and Dollar Thrifty are two big names in the car rental market with low-budget. Avis Budget Group manages two of most popular brands in the vehicle rental industry. 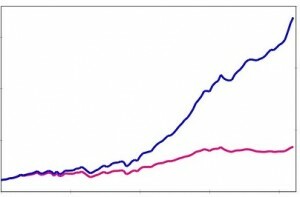 On the other hand, Dollar Thrifty was only few of the major car rental companies that placed a profit in the year 2009. They offer remarkably cheap car rentals. Their company became an important element in the rental industry while several consumers try to save a big deal of money. Today, Hertz is keeping its eye on expanding its own low-priced brand, Advantage Rent-a-Car. Park Ridge shares were down with 2 percent at a $9.98 on the New York stock exchange on Wednesday. Since Dollar Thrifty shareholders spurned their bid, their stocks have dropped 4 percent.